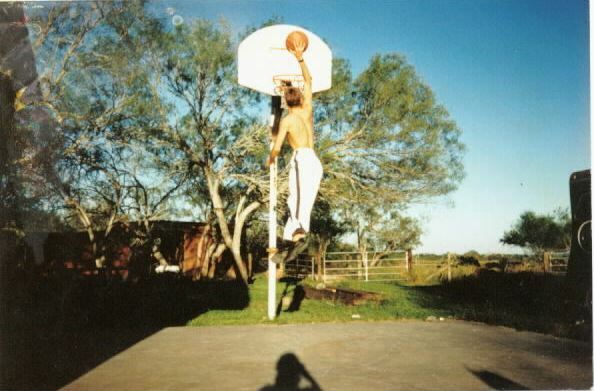 5’9 and Dunking – You Can Do It Too! Are you tired of all the hype, gimmicks, and misinformation - training methods that promise a lot...only to find that they don't create any real and lasting results for you? Have you wondered why Olympic high jumpers and long jumpers aren’t using these programs and gimmicks that promise to double your vertical jump in 6 weeks? Are you fed up with hearing “you are born with leaping ability - it can't be improved”? Are you ready and willing to take a realistic approach towards attaining consistent vertical jump improvements? If you answered yes to these questions then you are not alone. Whether you’re in Jr. High, a professional athlete, or even just a weekend warrior, the respect and awe created by a rim rattling vertical leap is as yearned for and respected as any athletic feat or endeavor. You’re about to discover valuable information that will prevent you from wasting time and money and set you well on your way towards greater heights. I don’t care if your vertical jump now is only 10 inches. My name is Kelly Baggett. As a teenage athlete with a lot of determination but with very little in the way of athletic gifts I, like a lot of you, was determined to increase my vertical jump. 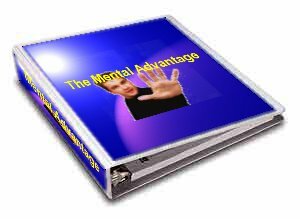 Over the years I wasted a lot of time and money on bogus programs and gimmicks but I decided to go on a mission and find out the truth - the most effective way to increasing leaping ability. That journey started 15 years ago. I literally spent years devouring every source of training information I could get my hands on and experimenting with every training method out there. You name it I did it. I eventually did achieve my own goals and began working as a trainer where I was able to refine my approach even further. I invested years in education, thousands of dollars on books, seminars, and hours upon hours reading through scientific research journals. I’ve been able to learn from the brightest scientific minds in the field of athletic enhancement. Most importantly, over the years I have spent thousands and thousands of hours in the gym helping other athletes. Along the way I figured out what works and what doesn’t. About a year ago it became apparent to me that even today there is a vast shortage of information for athletes who desire real results with regard to vertical jump improvement. I decided to take all the battle tested and effective information I learned over the years and combine it into the ultimate resource for anyone who aspires to jump higher and develop mind-boggling explosiveness. The end result is Higher-Faster-Sports.com and the Vertical Jump Development Bible. Let’s take a peek inside. Just for starters, here are 11 things you probably didn’t know about vertical jump training. Let’s start by getting things straight. First of all no program, gimmick, or gadget is going to double your vertical jump in 6 weeks or even 6 months! Unfortunately, hype, misinformation, empty promises, gimmicks, and failures are too commonplace in this industry. Why does this occur? Mainly because the vertical jump is not an established competitive athletic event like a high jump or 100 meter dash. Therefore, there are zero knowledge standards for coaches to adhere to so the field is dominated by salesman instead of trainers. Higher-Faster-Sports.com and the Vertical Jump Development Bible have stepped to the forefront to deliver innovative information in pursuit of replacing an industry characterized with hype, empty promises, and failure, with information that gives you what you desire. Information that’s backed up by both scientific and real world research. My desire is to take you and guide you confidently towards your athletic goals. I’ve tested thousands of training techniques and strategies over the years so I know what works and what doesn't. Not only do you get rock-solid scientifically sound information but you can also rest assured that this information has been battle tested in the real world. No more taking advice from those who have never achieved their own success. If you want to become a millionaire do you ask the guy who inherited millions of dollars for advice? Or do you ask the guy who started with nothing and created his own wealth? The answer to that question should be obvious. One big problem with most programs is they assign the same cookie cutter setup to every single athlete without any regard to an athlete’s training history or prior training experience. A pro athlete with 10 years of training experience might be performing the same program as someone 12 years old with no experience. The fact is, no 2 athletes are alike. Everyone has different strong points, weak points, experience, and skill levels. For optimal results your program needs to be individualized and taken out of cookie cutter mode. Beware of programs that use one training method claiming to be the end all to an awesome vertical jump. The body responds differently to varying types of training. Science has proven that for optimal results you need a program that addresses development from multiple angles. A chain is only as strong as its weakest link. If your foundation is not strong and your weaknesses are not addressed through your training program your progress will be limited and likely go nowhere. Only by identifying and addressing your individual needs can you reach your potential! The Vertical Jump Development Bible allows you to train to your unique needs. To ensure individuality, every program I write is broken down into 4 levels of advancement (beginner, novice, intermediate, and advanced). I’m sure you know people who improve their vertical jump by doing nothing but strength training, squats for example. Still others improve tremendously by doing nothing but plyometrics and speed drills. Because of this, the average athlete is very confused where they should focus their efforts. Unfortunately, most coaches are even worse. Some say strength training is the answer – Others say plyometric work is the end all and be all. The truth is, the answer depends on you and your unique physical characteristics and nobody can answer that question except for your own body. The body never lies. Your performance in certain tasks will tell you where to direct your training efforts. You will learn how strength training and plyometric training stimulate different adaptations. I will also show you a simple test you can do in 5 minutes that will tell you with amazing accuracy whether you’ll benefit more from a strength based program or a plyometric based program. Once you complete your test results you simply “plug” yourself into the program that best suits your needs. It’s about as close as you can get to having your own trainer. The correct application of Plyometric training can quickly and efficiently give you monstrous vertical jump increases in as little as 30 minutes per week, but it must be the correct type of plyometric training that follows an organized framework that correlates to your abilities. Most programs focus on only 1 category of plyometric training and this method is not optimal for most people. In truth, there is a certain progression that needs to be followed for maximum results. Each category of drill stimulates a slightly different type of adaptive response. Not only are people very individualistic in their response to certain training methods or programs, but science has even verified that jumping style, or performance in different types of jumps (standstill, running start, 1-legged jump), is very individual and the training methods that influence one type of jump may not carry well over to another style. There are 3 different types of leapers. One group relies more on strength and muscle power, one group relies more on natural body structure, and one group relies on a combination between the 2. Iw ill teach you how to identify which group you are in and how this should influence your training, leaping style, and subsequent improvements. Ever notice how guys that can fly with a long run-up jumping off of one leg (high jump style) and guys who are good when jumping off of 2 legs, often aren’t very good at their “other” style of jump. Ever wonder why? It turns out there is a huge difference between the 2 in terms of muscle contribution and strength qualities. The training that improves one style often doesn’t do much to improve the other style. Find out what factors determine your naturally dominant style and the training methods to improve each. What’s the truth about platform shoes, weighted vests, proprioceptors, and other training aids? Find out what unbiased scientific research has to say about these training aids. Learn how body types, limb lengths, and body structure influences the vertical jump and what you can do to optimize yours. Hint: What looks right tends to fly right and looks can always be improved! Ever wonder how high you can potentially go? Learn the simple Vertical Jump Equation and find out why very few people in history have ever really maxed out their true potential. #12 Fast twitch or slow? You may have heard that the ratio of fast twitch muscle fibers is the most important factor in determining vertical jump height and that if you don’t have an ideal genetic fast to slow muscle fiber ratio than you are always doomed to be ground-bound. Learn why this is HOGWASH! Fast twitch fibers are the biggest, fastest, and strongest fibers. But why is it that bodybuilders, with a lot of BIG and STRONG fibers aren’t known for their vertical jump heights? Why is it that professional baseball pitchers, who must be naturally very fast twitch dominant, aren’t known for their strength or leaping ability? Learn why the real key is your mind to muscle connection and what you can do to improve it. #13 Ethnic Influences: Fact or Fiction? If you’re a white boy with a 15-inch vertical are you always destined to be ground-bound and slow? Learn the truth about the discrepancy between ethnic groups in regards to vertical jumping ability and speed. Why these differences have nothing to do with color and what you can do to maximize your genetics. Learn how your muscle to fat ratio influences your performance and how to determine if yours is optimal. Use my simple calculator to assess your body-fat percentage. This doesn’t require any special calipers or scales. It’s been said that if you feed a man a fish you feed him for a meal. Teach him how to fish and you feed him for a lifetime. If you don’t know why something works or doesn’t work then you haven’t learned anything. Not only do I tell you what to do but also why you do it and how you do it. No longer do you have to plod along for weeks, months, and years in an exhausting game of pin the tail on the donkey. The Vertical Jump Bible allows you to see the bulls-eye, the targets your workouts must 'strike' in order to see the results you desire. Not only will you quickly get results, but you’ll become much more knowledgeable and you’ll know exactly WHY you’re getting these results and how to continue getting them. How High Do You Want To Go?? Whether you’re a raw beginner, novice, intermediate, or advanced athlete – It doesn’t matter! The programs are designed to work with however much time you desire to dedicate to training – I can get you fantastic results training only 30 minutes twice per week. Instead of wasting time with all the other programs and gimmicks out there that are 1 dimensional, oversimplified, require gadgets, gimmicks, or special training devices, The Vertical Jump Development Bible will give you just the right amount of scientific and technical detail to keep the knowledge you gain interesting but not overly technical and impractical. Can you understand the concepts already presented above and did you look forward to reading about them? Good! In the Vertical Jump Development Bible the information is presented in the EXACT same easy to understand, user-friendly format so that you can put it to use immediately. 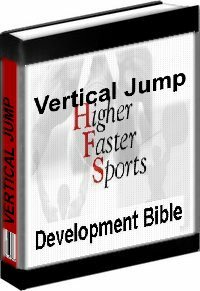 The Vertical Jump Bible is a complete masters course comprised of knowledge and research taken from every corner of the globe including research from the original inventor of “plyometric” exercises as well as many other sports science researchers and coaches, some whose entire lives were practically dedicated to exploring athletic qualities such vertical jump enhancement. Now this information has been interpreted and tested and can be brought to you in an easily understandable format so that you can reach your goals. These are ordinary people just like you. Unhappy with their performance and determined to improve they decided to do something about it. They realized that good information coupled with dedication equals effective results. The list above is just a sampling of all the information and tips that will give you the ability to TERRIFY your opposition. You get all these insights in an easy to read and follow format, of ALL of my nearly two-decades of success at helping hundreds of athletes elevate their athletic ability and game. #15 What athletes have the best vertical jumps? The answer might shock you – Did you know the average professional football player or even high-level shotputter has a much higher vertical jump than professional basketball players? Find out what they do differently. - Learn the “secret” training method (what should be called the non-training method) that NBA players use. - Why training smarter and less frequently is almost always more effective then training hard and frequently all the time. - The importance of the mind to muscle connection and simple drills to improve this link. - Why some people are “naturally” wired to jump higher and how you can make your body function more like theirs. - Why most of the exercises that we know in the United States as “plyometric” exercises really aren’t plyometric. How you can employ and benefit from REAL plyometrics. - Learn the correct leaping technique and how using it and mastering it can mean the difference between being able to throw down a reverse 2-handed dunk or not being able to dunk at all. - Why most people who start a program usually burn out and actually get worse instead of better – Why you should be making progress at EVERY session and how to do it. How you can use your training motivation to gauge your progress. - Why specializing on a vertical jump program (or any other specialized program) during your competitive sporting season is often the worst thing you can do to guarantee yourself ZERO results. - Learn why some people won’t ever increase their jumping ability without some type of strength training program and likewise why some people wont ever increase theirs without some type of plyometric or speed training. - Learn the truth about the Russian training secrets – Find out why there really are no secrets, rather there is just a lot of information that few people are aware of. - Technical considerations for each leaping style that can give you as much as a 10% increase in just one day! · A complete 140+ page resource manual filled with hundreds of tips and little known secrets to get you flying higher – The manual will answer any and every question you’ve ever had about the vertical jump! · A multitude of exercises designed to work with whatever equipment you do or don’t have available! · Programs to accommodate your level of dedication and time – If your short on time you can get superior results training only 30 minutes twice per week. · Don’t have access to a gym? That’s fine because I give you a complete 12-week leg-strengthening program that requires absolute no equipment or weights! · Complete testing procedures you can do in 5 minutes to direct you towards your optimum training focus and direct you towards the specific program best for you. Analyze your current level along with your training response. will immediately begin to make consistent improvements! What I can guarantee is that if you follow the programs and are committed, you will IMMEDIATELY begin to make consistent and often drastic improvements in your vertical jump. No matter what your background and current ability, if you are committed you will increase your vertical jump. Period! Why not learn from my experience? Each of the 30 separate programs incorporated into the Vertical Jump Development Bible would normally sell for $100 through my private coaching service. But I decided to package everything together and offer it as A complete Vertical Jump Master’s Course at a substantial discount. My purpose for putting all this information together is to provide ALL athletes with a chance to take advantage of the best information available so I want to make it affordable for everyone. Therefore, I decided to offer the entire collection for only $97.00. However, as a special introductory offer, I’m giving it away in digital format for only $39.99! Keep in mind this special offer may not be available long! It’s hard to get off the ground if you have a 20 lb spare tire around your waste-line and no matter how spectacular your vertical jump is it’s hard to get noticed if you’re 105 lbs of skin and bone. Everyone desires a lean muscular body with a tight and defined mid-section. In Body Composition Basics I teach you how to manipulate your body composition through nutrition and training. You won’t just look better but you’ll perform better. If you’re serious about becoming a better athlete your nutrition and body composition must not be neglected! Do you need to gain weight or lose weight? If you want to shape up, lose body-fat, or gain solid muscular bodyweight this program will teach you how. ● Learn why diet is responsible for 90% of your success when it comes to tightening up your midsection. ● How to read food labels and construct your own personalized diet - How many calories, protein, carbohydrates, and fats you should be consuming each day for weight maintenance, weight gain, or weight loss. ● The most important times of the day to eat for increased recovery, muscle growth and fat burning. ● Why you should NOT avoid eating dietary fat and what certain types of fats actually make you leaner! Are you normally full of motivation to train or do you find it hard to get going? Do you start a training program with a lot of motivation only to find all to often you end up getting burned out and quit? A lot of this can be caused by not having a roadmap for success and being 100% clear on what it is you want. Going through the motions won’t cut it! Before you achieve any goal you must decide what that goal is. Most people don’t get what they want because they have NO idea what it is they want! This goal-setting program will take you step by step towards your goals. I’ll teach you how to use the power of your mind to enhance your physical performance and especially your sporting performance. Virtually all the greatest athletes in every sport are great because they have a tremendous ability to mentally take their body and their game to another level. The “zone” is a state where physical action becomes effortless and optimized. By using mental imagery you’ll better be able to reach this state and achieve things you may have not thought possible. It is a scientific fact that if you can visualize yourself achieving something then your body is capable of achieving it! ● Why 3% of all people who define their goals and write their goals down are more successful then the other 97% combined! Learn exactly what the 3% do that others don’t. ● Why just thinking about an activity can actually be more effective then performing the activity for hours and hours on end – Studies using mental imagery in activities such as free throw shooting and golf have actually shown that groups who did nothing but “think” about their activity ended up performing better then those who practiced for hours on end! ● How negative thoughts sabotage your results and how to go about erasing these negative thoughts from your subconscious mind and implanting them with positive thoughts. ● You'll be able to refer your friends and colleagues to the Vertical Jump Development program and you'll earn a 40% commission, (about $16.00) for every sale that you refer! ●Just 3 referrals will more then pay for your program and you can literally earn hundreds of extra dollars each month. When combined with the information and programs in The Vertical Jump Development Bible, the entire package value is worth hundreds of dollars! But if you’re ready to start flying now, you get everything for only 39.99! · All for only $̶9̶7̶.0̶0̶ SPECIAL OFFER: Only $39.99! I guarantee this is the most comprehensive vertical jump enhancement package ever created. And here's my guarantee. Don’t just take my word for it! I want to put the pressure on MY back to deliver you results. There is absolutely no risk, whatsoever on your part. The burden to deliver is entirely on me! Why am I going to such great lengths? Because I want you to feel absolutely certain there’s no way you can "get taken." After all, I have a good reputation to uphold. I can do this because my customers consistently get more then what they pay for. If you are unsure, don’t decide now. Go ahead and order your package today, read it, complete the testing portion, and follow one of the programs. Give it an honest try. If for any reason it either doesn’t work for you, or you aren’t satisfied, let me know and I’ll give you 100% of your money back. from the Ultimate Vertical Jump Enhancement Program! Remember, these are DOWNLOADABLE e-books. There is no physical product sent. You'll be able to access and print the information immediately. All you need is a windows operating system to view the books! The first and fastest way to order is with your credit card. Your order will be processed while you wait. The whole process takes just seconds. The 2ⁿᵈ way to order is with a check or money order through regular mail or fax. Click Here to print out an order form to mail. Simply print this order form out and send it along with your payment of $39.99. To get your copy of the Vertical Jump Bible and get in on these incredible bonuses – just Click Here and you'll have instant access. P.S. Remember every exercise, program, tip and bit of information you learn in this manual will have you quickly flying higher or your money back! If you’re not happy with your program I’ll refund your money and you still get to keep the 3 bonuses. Altogether, you'll get an incredible collection of proven training tactics and programs to model, study and learn from. These programs just won’t increase your vertical jump but will help you become a better athlete in every sense.